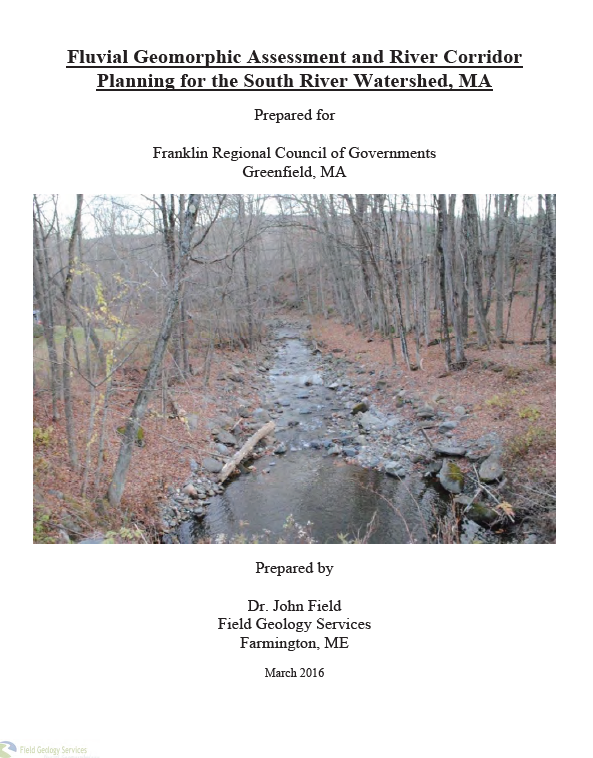 Prepared for the Franklin Regional Council of Governments by John Field, Field Geology Services. Download Laurie Saunder’s slides from the public forum held on December 13th, 2016. 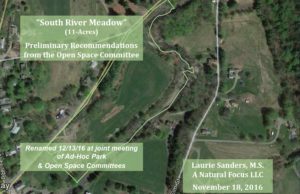 The Open Space Committee has been working with local naturalist Laurie Sanders on plans for the former Rose property just north of Conway center between Shelburne Falls Rd. and the South River. The South River runs though Ashfield and Conway, Massachusetts. The Friends of the South River is an informal group of citizens working to preserve this remarkable resource. 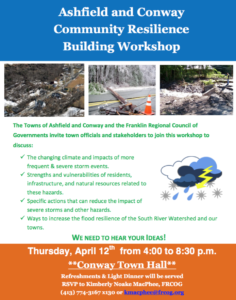 Find out more about the Friends of the South River. 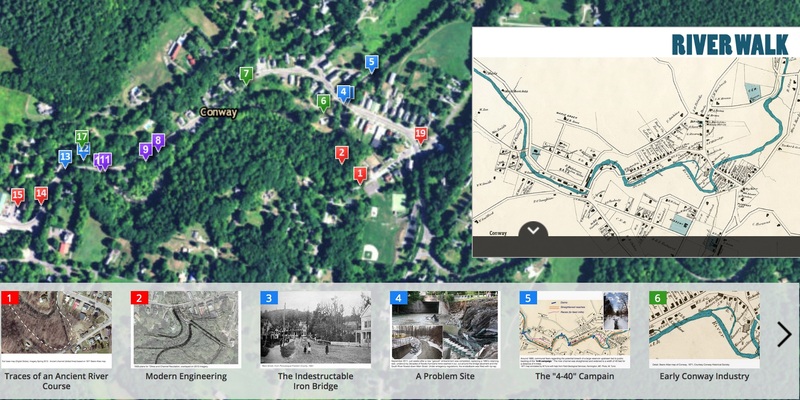 Take a guided tour of the social & natural history of the former New England mill town of Conway, Massachusetts.